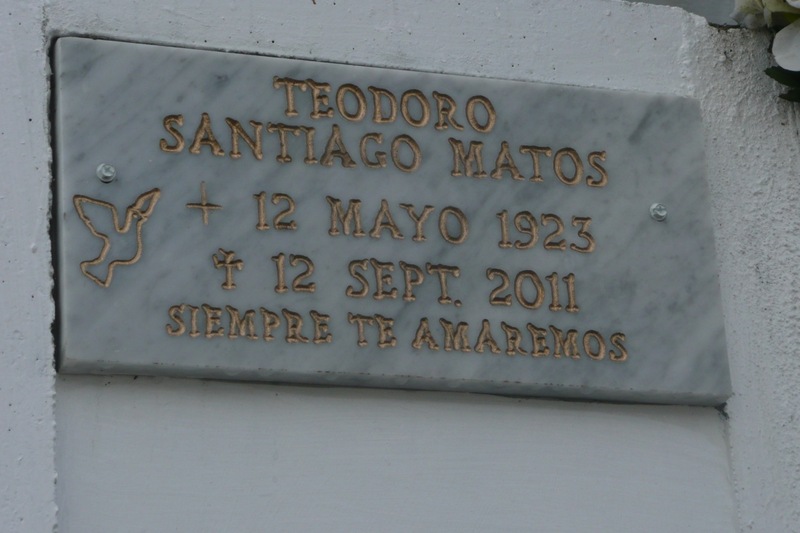 Back in September, my Padrino (godfather) passed away in Puerto Rico. I haven’t posted anything about him yet. It was hard to lose him and I haven’t quite found the words to write about him yet. I’m sure it will come at a later time. 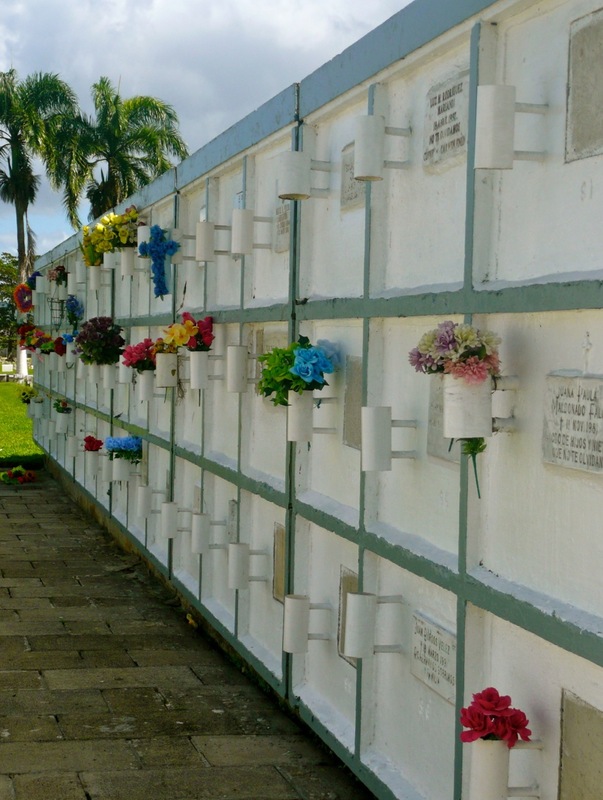 On a recent trip to Puerto Rico, I went to see where his ashes were buried. Normally, when you’re cremated they bury you in the ground in a coffin. Here they dig your bones up a few years later and place them in a crypt like the one below. I’m not sure why, but I was startled to see the way it’s done. I had always assumed that once you’re in the ground that you’re there for life — not so on this island. I’m not sure how it’s done in the United States but I’d never heard of this before. Padrino is not in pain anymore. That’s the only thing that feels right about his death. We only pass through this life once — we really need to live it the best we can.